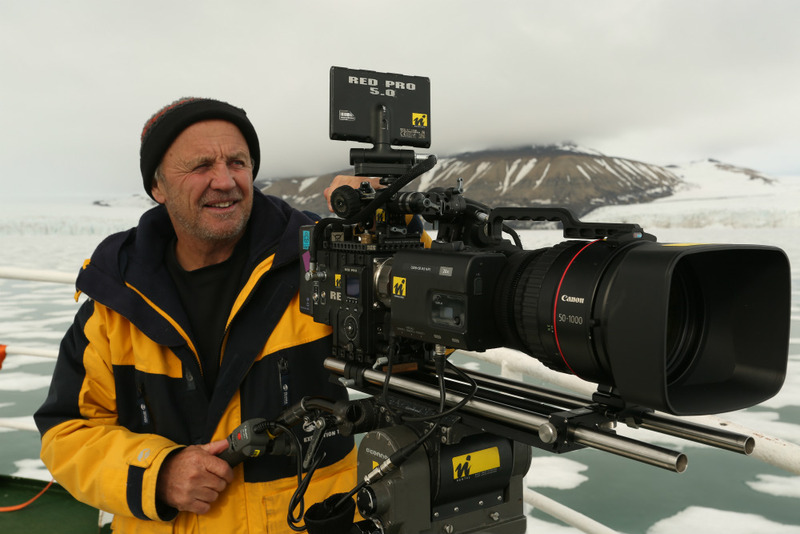 Doug Allan is a wildlife documentary cameraman with a number of Antarctic expeditions under his belt, not to mention award-winning films, TV series, and radio programmes on nature and wildlife. Ahead of his appearance at the 2018 World Youth and Student Travel Conference (WYSTC) in Scotland, his home country, WYSE Travel Confederation talked to Doug about his early travel days, contemporary issues in tourism like animal mistreatment and overtourism, and his book Freeze Frame. He also shares his advice for aspiring wildlife photographers and anyone who finds themselves being chased by a polar bear. You were born in Scotland, but live elsewhere now…do you come back often and what is comforting about coming back? Jersey and then Antarctica. When I took all my cold experience and started camera work in 1983, the obvious place to live was Bristol where the BBC Natural History Unit (NHU) is based. I come north maybe a couple of times a year, sometimes to see my brother and sisters, sometimes for work. Scotland’s such a contrast to the south of England – there’s space, masses of wilderness, and the Scots have a natural sense of social equality, an easy-going relationship with fairness that’s more pronounced than in other parts of UK. Yeah, being Scots I would say that wouldn’t I? Did you travel or backpack when you were younger? What was your first truly memorable journey? I was lucky enough as a schoolboy to enjoy the first exotic (at the time) family package holidays to the Mediterranean. It was on those that snorkelling first took hold. But it was after my degree that the travel adventure bug took hold. I made the conscious decision not to follow a career as a “real” marine biologist, but instead to seek out chances to work as a scientific dive assistant, as far away from UK as I could. My seven years in the Antarctic between 1976 and 1983 was the ultimate journey in all kinds of ways. But the four months I spent aged 26 travelling from Montevideo to Bonaire via Argentina, Paraguay, Bolivia, Peru, Ecuador and Venezuela – that was cool. Speaking Spanish, locked up in jail for three days, trying to revive a man shot in a robbery at an Inca ruin, Machu Picchu at sunrise, I have lots of interesting memories from that trip. Freeze Frame is hard to categorise. It came from a desire to showcase the best of the images I’d been taking since I first went south in 1976 and to say things that couldn’t be covered in a film. 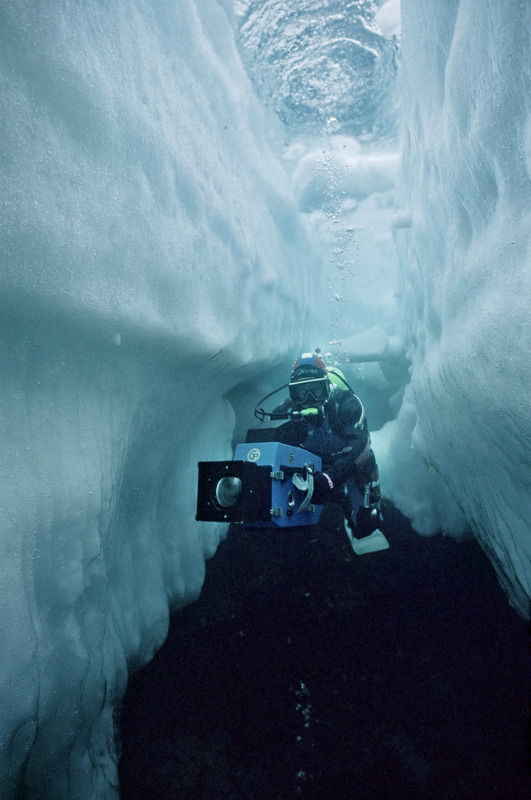 It’s a non-linear autobiography, a book about filming nature and living in the polar zones, a photographic collection that’s also full of (hopefully) fascinating anecdotes and experiences. After dipping into the stories, you’ll know more about me, more about the poles and the animals that live there, more about the hows and whys of natural history filmmaking. 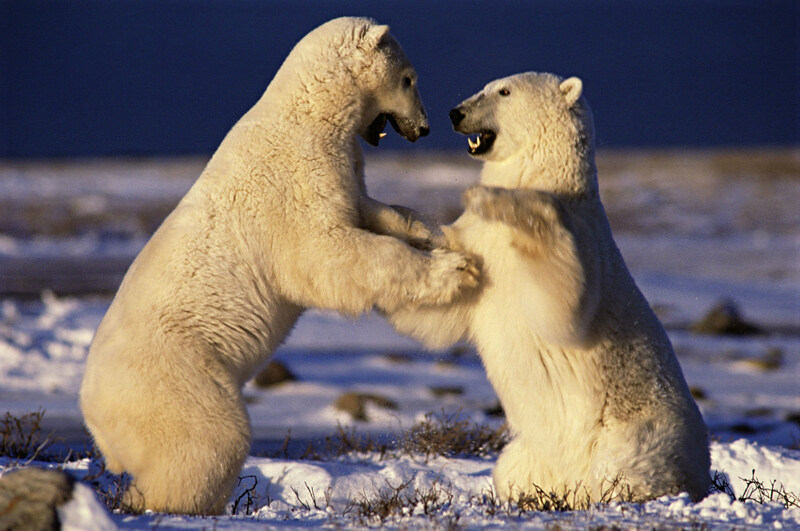 And you’ll also know what to do if you’re ever chased by a polar bear (my advice – run faster than whoever is with you). I self-published because the more I thought about the book, the more I saw in my mind’s eye not just the written content but the whole look and style. Had I gone to a publisher and asked for financing, I’d have lost creative control. The debate about ‘overtourism’ – is it a real concern or not? If so, who or what is most at risk? Yes, it’s definitely an issue. In different places, overtourism can affect the local people, the immediate environment, the animals and (ironically, but inevitably) the tourists themselves. Sometimes all four simultaneously. Skye as an island can handle 1,500 visitors a day, but not when they all come ashore at one time and all want to traipse to the Fairy Glen. The locals think it’s crap, the paths take a hammering, and the tourists who want to savour the natural peace of the place go away dissatisfied. Everywhere has a finite carrying capacity – whether a national park, a UN heritage city, or the space in front of a famous painting in a museum. Too many people wanting into any one specific place is bad. Edward Abbey’s classic collection of essays Desert Solitaire got it right in terms of how he reckoned we could control visitor numbers. Can you summarise that approach for those not familiar with his essays? His bottom line for park protection was that vehicles stopped at the gate, and from then you had to hike or travel by sustainable, low-volume public transport. Give potential visitors the whole real experience – make it something of an effort to be in those special places. And what about animal mistreatment in the tourism industry – is this something you’ve seen in your work? I’ve seen it while travelling through many tourist hotspots. Monkeys on a lead on the beach-front promenades of Thailand, snakes that you can have draped round your neck for a picture, poorly managed zoos with maltreated animals, dolphins in aquaria. Don’t stop at them, don’t pay money to go to them. Is there anything you think that travel professionals could do to better serve young travellers? Travel broadens the mind, I believe that completely, but only if at the end point there’s a worthwhile experience, one that enriches the traveller while also respecting the places, cultures and people that he or she visits. “Worthwhile” comes loaded with different interpretations, but you all know what I mean. A study by the University of Sydney earlier this year concluded that global tourism now accounts for 8% of carbon emissions, around three times greater than previous estimates. I’d say it’s incumbent on your industry to reduce carbon emissions in the travel that you organise for others. Young travellers, the lifeblood of your business model, are ahead of the curve in awareness of this issue, and I believe that the successful companies will be those who make this a priority and part of the ethos of their business. You have the power (and indeed the responsibility) to steer your clients in the right directions. What is one piece of advice (or caution) that you would offer to young, aspiring wildlife photographers? Want to be better, and you will be better. With the advent of digital, the immediacy with which you can look at what you just shot – well that’s the biggest teaching aid there is. Allied with the web where all the tech info is at the click of a mouse, you have no excuse not to be taking good pictures very quickly. Great images will take longer. But do learn the basics – f-stops, shutter speeds, ISO’s, focal lengths, depth of field and how they interact. Being intimate with their inter-relationships is the grounding for creativity. Think in terms of not just one picture but more a portfolio, imagine you’ve been tasked with illustrating something specific for an article in a magazine – a particular animal, a specific place (wood, river, town), a concept like loneliness, an issue like fracking, whatever. Cover all the angles, make a collection of images that tell a story, not just single unconnected photographs. Caution – throw that to the winds. Doug Allan will speak at the World Youth and Student Travel Conference (WYSTC) in Edinburgh on Friday, 21 September 2018. Signed copies of his book Freeze Frame will be available for purchase.